UCF Professor of History Dr. Luis Martínez-Fernández has been appointed to the board of the National Council for History Education (NCHE). Since 1990, the NCHE has worked to promote excellence in K-12 and college-level history education. The organization supports the teaching of history through lobbying, sponsoring collaborations and workshops between teachers and professors, and by producing teaching materials and history education guidelines. He points to the common focus in history classrooms on the memorization of names and dates, which he feels does not afford students the necessary intellectual curiosity, critical thinking skills or ability to discern between different kinds of sources required in college. 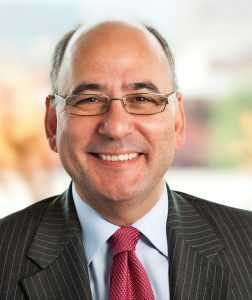 “My sense is that most school systems overemphasize what is in the tests and not the kinds of skills and knowledge necessary in college.” Martínez-Fernández hopes to put teachers and professors in closer dialogue to ensure a greater degree of coordination in the ways students are prepared for college-level history. Other points of concern are student reading habits and techniques. Martínez-Fernández feels students are often encouraged to read only to recover facts. He feels it is more important for students to engage authors’ over-arching arguments and reasons for writing. Martínez-Fernández also plans to be an advocate for K-12 teachers. “They’re underestimated,” he notes, “unfortunately there are people who are hostile to teachers.” He believes the profession should be “elevated,” and that he would like ordinary people to gain a more detailed sense of the limitations, struggles, and challenges teachers often experience.